An original walk around entertainment in France to celebrate the bicycle! In a nice little town called Fourmies (which means bugs in French) they just decided to celebrate the bicycle. For this very original idea, the city had decided to book our Bicycle Band. 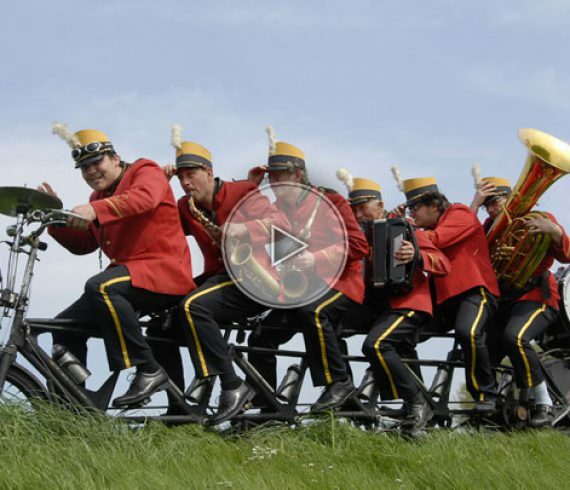 This six men band all on one single bicycle brought energy and fun to the city. A nice day in this little town with our fun walk around entertainment. More pictures to come on our Facebook account.